Perform Complex Functions on Just a Click !! Using Softaculous you can deploy web applications within minutes. You just have to fill in your details and Click on Install. Thats it your Web application is up and Running. Henceforth no need of creating Databases manually or downloading zips and unzipping them on your server. No need of Debugging or tracing back as to why did the Installation failed. Softaculous does all that for you. Just sit back and relax. Let Softaculous handle everything. The Softaculous Search gives out the best possible results based on the user input. The alternate coloring scheme applied to the search results makes it easy to differentiate between the results making the results standout on an individual basis. With every new version released Softaculous innovates and integrates new features. These features are designed to make the workflow for the Users and the Web Hosts perform efficiently and with ease. These features also automate most of the tedious processes. These updates also contain patches, Bug Fixes and Security releases along with them. Softaculous updates have the flexibilty of getting updated automatically via the CRON or the Softaculous Admin can manually Update it. Softaculous provides an extensive documentation of the workflow that takes place in Softaculous. This makes it easy for Web Hosts to integrate Softaculous in their Panel. Also, Web Hosts can do various other processes like PHP versions checks using the Softaculous APIs. It also guides the endusers as to what Softaculous does or is capable of doing. The Doumentation is constructed in such a way that is easy to understand. The documents also provide Screeshots and Videos wherever necessary. Softaculous only provides scripts which are the best on the Web. That means no more wasting time on searching for scripts and ending up with something that is way below your expectations. The Scripts are also managed according to categories giving the users exactly what they want. Softaculous has 450 Scripts and we keep adding more amazing scripts to the script library after thorough reviewing. Users can also request for script additions of their choice. If the scripts meets our expectations we will surely add it to our Script Library. Softaculous gives much faster updates of the scripts it maintains. At Softaculous, we understand that an Updates mean a much more secure script and better safety of the server. Also users benefit from the new features available in newer versions of scripts. We always try our best to make available the Updates ASAP! Softaculous can import any of the scripts it maintains even if it was not installed by Softaculous. The process is very simple and fast. Softaculous can also Import Data of the installed scripts from other Auto Installers like Fantastico. The user can also choose which scripts to Import from other Auto Installers. Once Imported Softaculous will maintain the scripts for future updates. Softaculous understands the importance of the Privacy of a User and the Security Factors related to it. Hence, all possible efforts are made to attain the maximum level of safety and isolation of the User Data from the outside World. Softaculous also smartly encrypts user data for better Security. Softaculous does not store important user data like a Web Application Login details and other related content which might lead to a Security Breach. Via Softaculous, Users also have the privilege to install Web Application over HTTPS protocol for better Security. Softaculous provides Web Applications in Multiple Languages letting Users Install Web Application in the their Languages. Some Applications have more than 50 Languages. Thus the user is saved from downloading translations packages and Manually installing them. Softaculous is offered at a very competitive price along with Huge sets of features. Softaculous is now used by millions of users around the Globe and it keeps on increasing. Client Satisfaction is one of our highest priority and we strive very hard to attain this. Softaculous is a Reliable Auto Installation Solution. Softaculous does not modify any files or folders on your server neither does it change any permissions of the existing files and folders on your server. Installation of Softaculous is very easy and you can always ask the support team to help you if at all you are facing any issues. Uninstalling Softaculous is also very easy and it does not remove any modules which are already existing on the server neither does it remove existing files on the server. Softaculous also does not need a lot of additional configuration setups on your server to work. It has been created with minimal dependencies and works on the basic modules and extensions that already exists on your server. Updates are always given the highest priority and are released as soon as they are available because they might be associated with Security patches and Bug fixes. Experience the magic of installing 450 Scripts within seconds. Use the free trial to experience Softaculous and get a chance to install popular scripts like WordPress, Joomla, SMF, Drupal, Dolphin, PrestaShop and many more through Softaculous. Click here to get your free trial now. You can gain a huge amount of returns with a small investment using Softaculous. Softaculous has a huge Script Library which gives your users more choices to choose from. It also saves you the hassle of manually installing script for your customers. For instance if your customer wants a Script B and you can provide only Script A, you will have to go through the hassle of setting up the entire Script for your customer. This includes wastage of time and even if you are gaining some amount of money setting up this script for your client , you also loose a lot of time in return, which could have benefited you in lot of other ways. 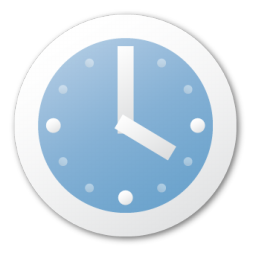 Softaculous saves a lot of time since its an Auto Installer and hence the time required for installation of a single script is 1/10th of what you normally would require. Hence instead of solving a ticket, you can solve 10 tickets giving you 10 times more for the little investment. Softaculous will make your business bloom faster than you can imagine. 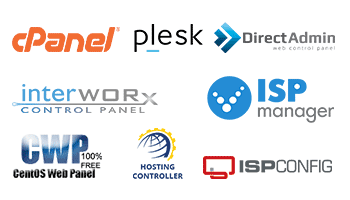 Softaculous provides individual plugins for the Popular Control Panels like cPanel, DirectAdmin, PLESK, InterWorx, H-Sphere, CentOS Web Panel and Hosting Controller. This embeds Softaculous right into the Control Panel Interface. Softaculous feels a part of the Control Panel rather than just an Add-On. Softaculous works seamlesly without interfering with any process of the Control panel. Softaculous can also be integrated into other panels using the Softaculous API. Incase, if you are facing issues you can always contact Softaculous Support and they will help you out in every possible way with your integration. Softaculous also allows Auto Installation of scripts during the creation of the user account using WHMCS. The process is automated using Softaculous API due to which, the desired Script is automatically installed at the enduser's domain. WHMCS also provides an internal billing system which allows you to invoice & bill your customers in as many different currencies as you want, all at the same time. From automated setup, to welcome emails, to password changes, upgrades, suspensions, and more. WHMCS and Softaculous handle it all. This gesture is all about integration and automation, bringing together all the services you use into an easy to use combined single interface. Softaculous is based on striking balance of Simplicity with Rich imagery sensitively applied. It is Desined Elegantly keeping the ease of use in Mind. It is Clear, Open and fresh. Its a clean and neatly Designed Interface with a Simple but Fantastic Logo. The UI is provided with cues, tips and Hints all around. For example, the Blank Website shows the Top Scripts when the user first logs in. This quickly creates an Impression on the user about the Best scripts that are available for installation. This also helps the User to decide which script he would prefer to install. Softaculous just feels right !!! Good visuals also serve to solidify the image of the Website in the mind of endusers and help them further recognize what's actually happening. For Instance, our Progress bar shows exactly the Progress of the Installations according the events taking place. It's like providing the enduser a feedback on the events taking place. So, instead of thinking that something is happening, the user actually knows what is happening. Efficiency is a skill that prevents wastage of time. The Softaculous UI works on every Popular browser without Hiccups or Page Rendering Issues. Being Light weight, it loads up lightning fast even on the primitive Web Browsers. It follows the latest standard of Web Page programming. The Interface is pleasing, Presentable and consumes the Least Amount of data preserving Bandwidth and avoiding greater loading times. Softaculous provides various possible user actions in one screen without making it look like the cockpit of a fighter jet. It is designed to get out of the users way and let them do what they want without having to wade through tons of choices. The Icons used in Softaculous are self Explanatory for the Actions performed by them. Keeping things simple, intuitive and consistent really makes Softaculous easy to use, and this all takes a lot more work than many would think. Softaculous allows Re-Branding, meaning you can replace the Softaculous Logo with the Logo of your Company or the Logo of your choice. To do this there is no need to FTP to the server or to modify files. You just need to put the URL of your Logo and save the Settings. Voila !! Its done. The Softaculous Logo has been replaced by your Custom Logo. Softaculous allows Administrators and Resellers to control the Applications available to the endusers. Admins and Resellers can create plans for their users listing the number of Scripts available for each user. They can also allocate a web hosting package to the enduser. Administrators can also control features like generating Random Passwords, Disabling Enduser Mail, setting up directory and file permissions, editing Email templates, etc. Using the Softaculous Reseller Control panel, the reseller can use his own Custom Logo for Re-Branding purposes. The Reseller can also modify a great deal of features like enable/disable mailing or newsfeed for endusers. The Reseller can also Enable/Disable demos, ratings, reviews and screenshots for the enduser. Along with this the reseller has the privilege to restrict his enduser access by creating plans. The Reseller can also create a default plan which will be automatically applied to all the Reseller Users.